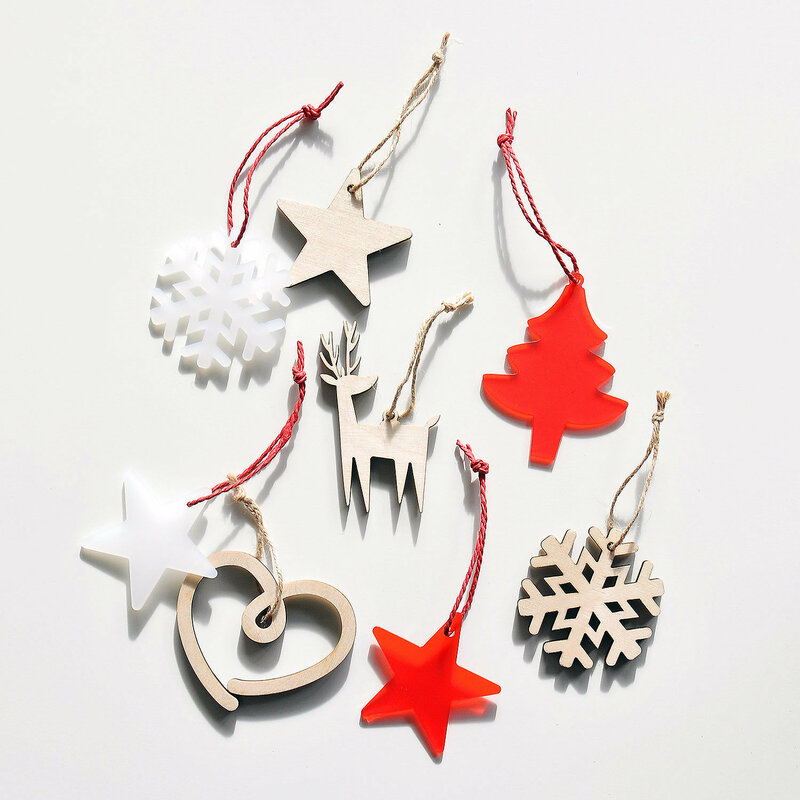 Christmas decorations available in red or white frost Perspex and Plywood in assorted shapes, symbolic to this festive season. Eco friendly product, 100% recyclable. String included.